Italian cyclist Michele Scarponi has died during a training ride after being involved in a collision with a van. He was 37. 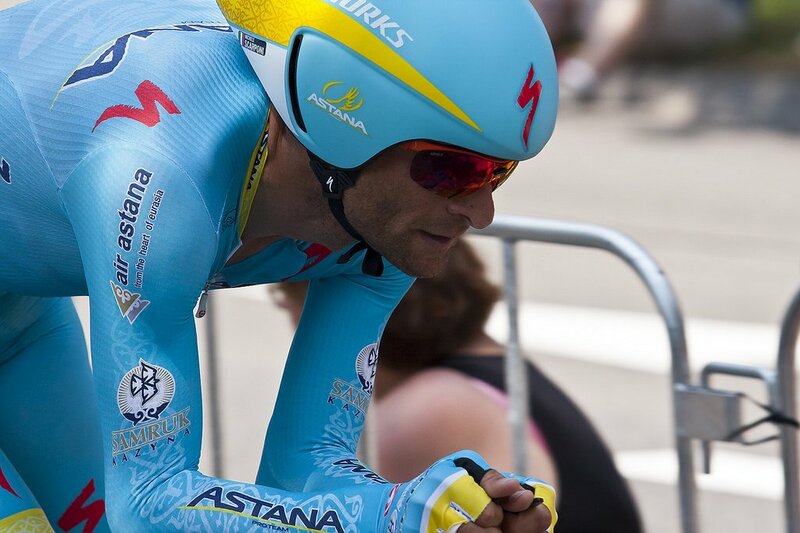 The crash happened close to Michele Scarponi’s home in Filottrano, a statement from his Astana team said. Michele Scarponi won the 2011 Giro d’Italia after Alberto Contador was stripped of the title and claimed victory in stage one of the Tour of the Alps on April 17. “This is a tragedy too big to be written,” said the Astana statement. Michele Scarponi leaves behind a wife and two children. After finishing fourth in the Tour of the Alps on April 21, Michele Scarponi returned home by car with his masseur before heading out for a ride on the next day. Specialist climber Michele Scarponi turned professional in 2002 with the Acqua & Sapone-Cantina Tollo team, finishing 18th in his debut Giro d’Italia. In 2007, he was banned for 18 months after being implicated in Operation Puerto – a major Spanish doping scandal involving some of the world’s top cyclists at the time. Michele Scarponi admitted his involvement in the scandal but denied doping, having been charged with using or attempting to use banned substances and possession of those substances. Returning in November 2008, he won the Tirreno-Adriatico stage race in 2009 before initially finishing second in the 2011 Giro d’Italia. He was later awarded his first Grand Tour title after original winner Alberto Contador was stripped of his title by the Court of Arbitration for Sport in 2012 after a positive test for clenbuterol at the 2010 Tour de France. Michele Scarponi joined Astana in 2014, primarily riding Grand Tours as a domestique and helping team-mate Vincenzo Nibali to victory in the 2014 Tour de France and 2016 Giro d’Italia.